Eric has been facilitating and serving as a guest speaker for “Man Up” and Open up since its inception in 2013. In the program’s first three years, close to 1500 students have gone through Eric’s program and he has been featured at TEDxColbyCollege and Hubspot’s Inbound Conference. 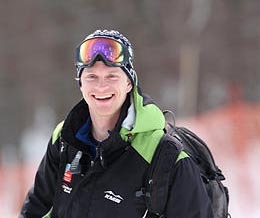 Since graduating from Colby in 2012, Eric has taught English and coached both soccer and ski racing with students of all ages from middle school to college, and modified the MAV conversations to bring them to schools across New England. He also gained valuable perspective when he brought the conversations to South Africa while serving for a year as a programs intern for Grassroot Soccer, an international NGO that uses soccer to mobilize communities to stop the spread of HIV. He was able to serve as a trainer for an all-male program that targets men ages 18-25, and also ran the conversation as part of an after-school soccer league that included many former and current local gang members. 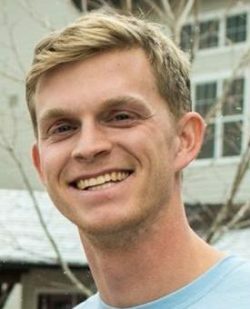 Since returning from South Africa in 2014, he has served as the assistant men’s soccer coach at University of New England and the assistant alpine ski coach at Colby College in addition to facilitating “Man Up” and Open Up workshops, and is currently earning his master’s degree in Social Justice Education at the University of Massachusetts Amherst. 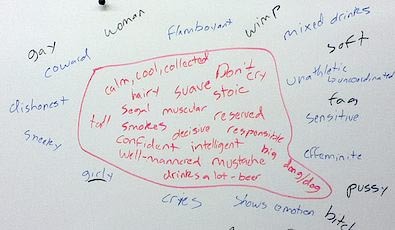 The minimum 60-minute conversations center on our society’s idea of what it means to be a “real man,” and aim to use peer to peer discussions to expand that definition. By using a series of facilitated activities, the conversations hope to raise awareness of the power of language as well as homophobia and sexism in American media so that students can reflect on their own attitudes and better empathize with those in their local school, team, or community and the diverse global society beyond. What does it really mean to be a man? What does that look like? How does today’s media depict men and women and what is not included in that portrayal? For the older ages, what do you do to protect yourself from sexual assault, if anything? What is consent? How might our society’s culture of masculinity create a culture of sexual violence, and how can we change that? How can we use the transformative power of sport to change communities and culture? Finally, the conversations conclude by asking participants not only to continue the discussion, but also to use what they have learned to act with forethought, compassion and particularly empathy on behalf of one another within the team or group, those who they love, and the larger community beyond.